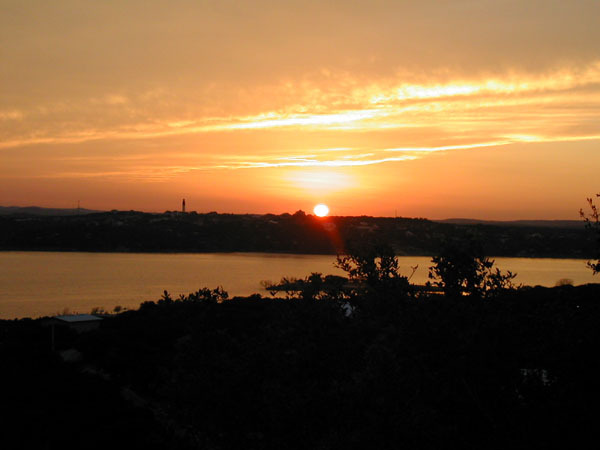 LAKE TRAVIS. Lake Travis is a sixty-five-mile-long artificial lake on the Colorado River in southern Burnet and western Travis counties (its center point is 30°25' N, 98°00' W). In December 1936 the United States Department of the Interior authorized the Lower Colorado River Authority to construct a low dam at the site of an old crossing on the river known as Marshall Ford. Marshall Ford Dam was completed in July 1939. The present Mansfield Dam, a 7,098-foot-long concrete, earth, and rockfill structure that replaced the original dam, was completed in May 1942. Deliberate impoundment began in September 1940. The cost of the project was $28,709,948. 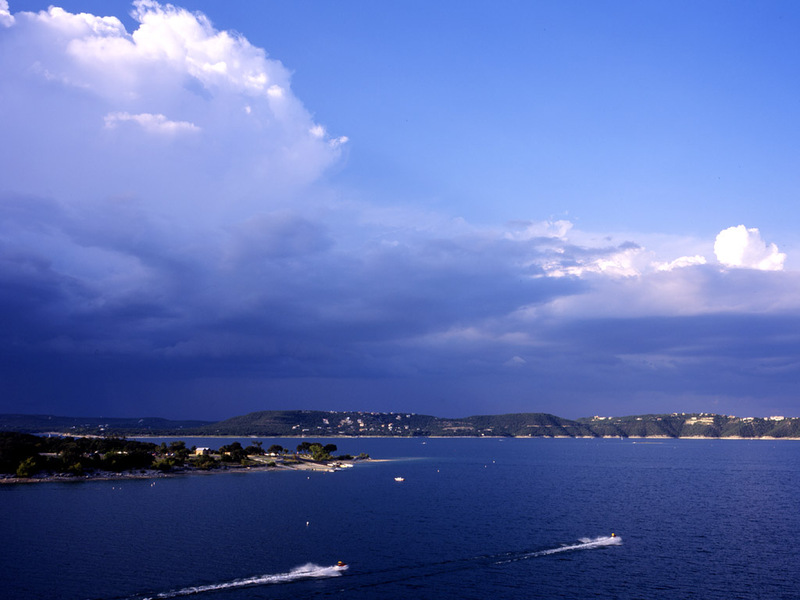 The capacity of Lake Travis is 1,950,000 acre-feet, of which 778,000 acre-feet is reserved for flood control; the surface area of the lake is 18,930 acres. The power installation consists of three generating units with a rated capacity of 22,500 kilowatts, each with all the allied equipment for connecting to the transmission system. The drainage area above the dam is 38,130 square miles, of which 11,900 is probably noncontributing. Runoff is partly regulated by Lake Buchananqv and other reservoirs upstream. The lake has become a major resort area that provides opportunities for boating, fishing, swimming, and camping. Parasailing--ride alone or with a friend. Has many services and amenities including skate park, climbing walls, canyonlands hiking, etc. Climb the biggest rock in Texas! Do you have a question about renting a Lake Vacation Home, buying a home or selling yours, or would like more information on Vacation Home Management? Please feel free to e-mail or call using any of the information below. You will get a response as quickly as possible.